I’m not a religious person, but in watching old TED talks I came across Pastor Rick Warren’s talk from 2006. And he asked some questions that stuck with me. As I listened to that story I was struck by how most of our gifts are, indeed, right within our grasp. They’re things we take for granted because we feel everyone has them. And so we underestimate their value. When Dale Carnegie wrote about the best approach to building relationships, he didn’t mention wealth or highly specialized skills. He talked about things that anyone could do. So here are 20 things you hold in your hand right now. 20 valuable things you can do for others. Be vulnerable (and thus allowing others to be vulnerable). Recognize others (pointing out their work, positive qualities, and other contributions). Appreciate others (e.g., with a public thank you, one of the most underused gifts). Share resources - books, presentations, articles - you’ve found useful. Offer introductions to people you know. Ask questions (and thus allowing someone else to help). Share your work experiences, especially mistakes. Share your life experiences, especially challenges (family, health, travel, education). Notice how simple these are. Yet think of the last time someone really listened to you. Really paid attention. How did that make you feel? Or when someone let their guard down and was vulnerable. How often does that happen? Don’t let a narrow view of what you have to offer stop you from giving. Think broadly and in a human way about all that you have in your hand. And share it. Over the past few months, I’ve written about using social tools and practices to save money, about a framework for influencing behavior, and about applying the Fun Theory at work. Today, I want to describe a project I’m working on to show how you can tie all those ideas together, unlocking value and enthusiasm even for mundane corporate goals. One way firms can save money is by having people use their own mobile device instead of corporate-owned Blackberries. (Usually referred to as BYOD or Bring Your Own Device.) In a large firm, there could be many thousands of corporate mobiles and the costs could easily be tens of millions every year. But how would you get people to use their own device instead? You’d still want employees to have mobile access to work, though. So you might accompany your policy change with an awareness campaign, making sure everyone knew about the change and asking for their cooperation. Changes to policy are powerful and raising awareness is important. But you can get better results - and do less damage to employee engagement - with an approach that taps into all of the 6 sources of influence described in “Influencer” by Kerry Patterson et al. So we decided to try something different and more positive. We noticed how many people loved using their iPad for work once they got it set up and how they were often eager to help others. What if we could somehow connect those people and form a social movement that drove adoption while reducing costs? “A Genius Bar in every building” started as a blog post on our social collaboration platform. It described how local volunteers could staff pop-up Genius Bars and help people set up their iPhones and iPads. Over the next few days, others contributed ideas and offered to volunteer. Soon, we had organized our first 2 events. The initial events weren’t smooth or professional, but we learned a lot. And we were struck by how grateful everyone was. (“Thank you so much for doing this!”) Afterwards, one of the volunteers wrote about what could have gone better. Another person wrote down detailed instructions for future events. Someone else started an online sign-up sheet for volunteers in every location. Now, we have events planned in a growing number of buildings all around the world. People are continuing to contribute suggestions for improving things. And with each event, we create more positive stories, attract more volunteers, and expand the movement. ☑ Personal Ability: Having mobile experts in each lobby makes it convenient for people to enable their devices. ☑ Social motivation: Seeing a crowd gathered around an Apple logo can go a long way to motivate others to join. We also use the social collaboration platform to share stories of how other people at all levels are using their own devices. ☑ Social ability: By crowd-sourcing volunteers, we build up a network of experts who could help people locally and complement the small team of mobile engineers. ☑ Structural ability: A simple physical thing like having a “Blackberry Bin” makes it easier for people to give back their devices. We can rely on crude carrots and sticks to change behavior. Care about the people affected. Care about producing more sustainable results. Care enough to try something different so we can make work more effective and more fulfilling. Imagine it’s 1986 and you’re responsible for eradicating the Guinea worm, a parasite that afflicts 3.5 million people across 20 countries, has been around for over 2000 years, and for which there is no vaccine or medical treatment. The only way to stop the worm is to change a few specific behaviors - for everyone. What would you do? If it’s difficult to change one person’s behavior, even your own, then changing millions seems impossible. Yet, in 2009, there were only 3000 cases of Guinea worm infestation - a reduction of 99.9%. It turns out the approach used to drive that kind of change - to influence behavior at a large scale - has also been used to help 14,000 felons be successfully employed, to reduce AIDS in Thailand, to improve service quality, and even to lose weight. And now I’m using it to help people make work more effective and more fulfilling. If you’re like me, your change efforts focus on raising awareness. Maybe on rewards and even penalties. 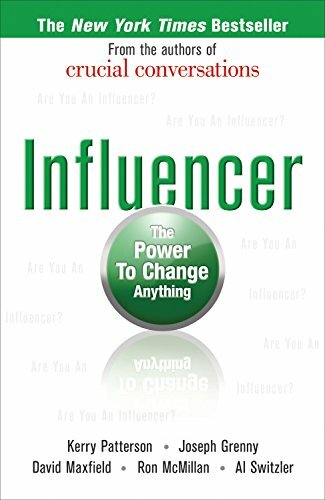 But “Influencer” describes how to tap into 6 very different sources of influence to change specific “vital behaviors” (also known as “keystone habits”). They’re very clear that “verbal persuasion rarely works” despite being the most common tool we use. Instead, when it comes to altering behavior, you need to help others answer just two questions: “Will it be worth it?” and “Can I do it?” And, in answering them, you need to examine all three levels. At work, we’re using these 6 sources as a checklist. As we try to help thousands of people work out loud (or print less, or use their own mobile phone, or contribute to any of the collective efficiency programs we have underway), we keep asking ourselves if we’re tapping into all 6 sources of influence. ☐ Social ability: How can we develop social ties - e.g., buddy systems, peer support groups, advocate programs - that can help an individual get better at the vital behavior? In using the Influencer approach to help tens of thousands of people change how they work, it’s already helped us narrow our focus. Instead of trying to change a wide variety of activities, we’re focusing on working out loud as a specific vital behavior. And by using the Influencer checklist, we’ve uncovered gaps in our approach, expanded our thinking about how to change behavior, and come up with a wider array of more creative methods. It’s tempting to think we already know what we’re doing. That our judgment is good enough. Or that we can cherry-pick a select few of the possible influence methods available to us. But “Influencer” repeatedly stresses that successful change agents overdetermine their success by using every influence tool available. As Atul Gawande showed us in “Checklist Manifesto”, professionals as different as surgeons, pilots, and construction workers all benefit from checklists to make sure they take full advantage of methods already known to work. Now, as aspiring Influencers, we have our own checklist. ☐Personal motivation: If people don’t find the behavior appealing, how can we get them to try it (or at least have them experience the benefits vicariously) and connect it to other things they value? If someone likes doing it, how can we reinforce the behavior by recognizing their accomplishments and encouraging them to do more? 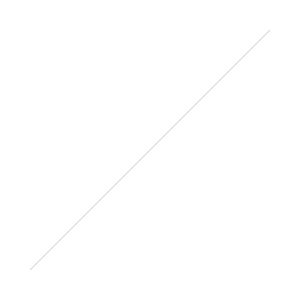 ☐Personal Ability: How can we make it simpler to start? And how can we provide people with opportunities to practice the behavior and attain achievable goals while giving them immediate feedback on ways to get even better? ☐Social motivation: Who are influential leaders who can model the vital behavior? And can we identify relevant peer groups who are already behaving in the desired way? ☐Social ability: How can we develop social ties - e.g., buddy systems, peer support groups, advocate programs - that can help an individual get better at the vital behavior? ☐Structural ability: How can we change the physical environment to make the vital behavior easier or to eliminate the things that pose a risk to that behavior?